Writing has been a direct connection from me to God. When a friend saw my poetry book she started reading it and said she couldn’t put it down. She encouraged me to do something with it; I was seventeen then. Now that I have several more poetry books, I prayed and feel that this is what the Lord wants me to do. It’s one of my greatest passions, next to ministry and cooking. 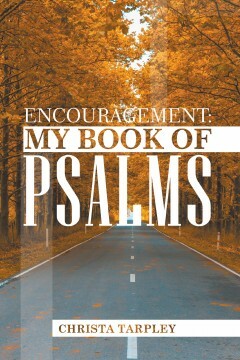 I pray this book ministers to you and helps you heal, restore, encourage, motivate and captures attention. Let the words sink and revive you, so that after you’re done reading this book, it will feel like you have just taken a breath of fresh air. There is something in here for everyone. 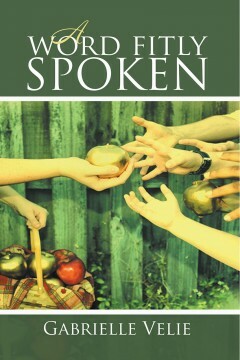 If you enjoy reading “A Word Fitly Spoken”, there is more to come. One thing I have noticed about poetry is writers create it when they’re in deep depression and those poems end up making you feel the same way you felt when you started reading them. So I have decided I would never end a poem or song on a down-beat, but always on a high note. Being the praise and worship leader, I find that sometimes in order to get to the next level, we have to encourage ourselves in the Lord. As you read my book, please don’t just browse it — think and ponder on it and remember it. Let the joy of the Lord be your strength. There’s something in here for every mood I’m in, and if you can apply it to your life it will help you just the way it helped me. I hope and pray you enjoy it and will be looking for my other books. Thank you for supporting me and my dreams! 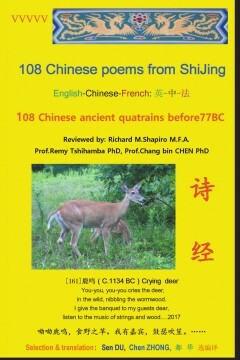 This book consists of two parts: 108 Chinese poems from ShiJing, which mainly coming from the first section of ShiJing and 108 ancient Chinese quatrains before 77 BC, in English, Chinese and French. We tried to use latest interpretations published in China to avoid misunderstanding on original texts. For the titles we tried to translate their meaning as close to the original as possible so as to maintain the ancient styles. We also made corrections on some missed words, lines, and misinterpreted terms on few flowers and plants etc. Your criticism is welcomed, please contact at seng.du@gmail.com. A retired machine design engineer was interested in ancient poetry translations and the study of modern socialism, mainly occurred in Russia and China, their experiences and lessions. 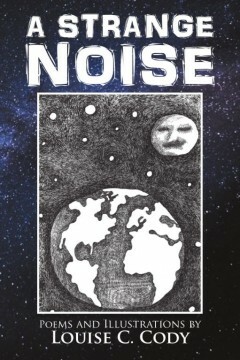 “A Strange Noise” is a collection of poetry and illustrations which portrays a cynical and humorous view of the issues which plague contemporary inhabitants of our planet today. It bounces issues like codependence, anxiety, hypocrisy, and obsessions around irreverently, accompanied by illustrations to enhance each thought provoking viewpoint. Louise won the poetry award for the city of Houston at the age of nine, while attending elementary school. She has two poems published in the National and International Library of Poetry; “Barrel Racing”, and “Green In My Blue”. While attending high school, she was awarded a five-year art scholarship to The Museum of Fine Arts, in Houston, Texas. She majored in art at Lamar High School and continued on this path at Southern Methodist University in Dallas, Texas. Her poems and illustrations were on display at a once well-known downtown hangout called The Twelvespot. 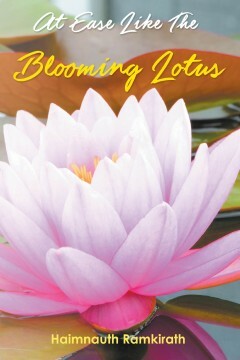 A journey to awaken the peace and freedom in the inner recesses of the heart and the soul. Amidst the daily grind, and the chaos and uncertainty in the world, it is important that we step back for a while and align ourselves with the truth and beauty in and around us. There is no need for ground – breaking or radical changes; just a small shift in our perspective and consciousness to embrace the basic truths and principles of life and nature. This may very well turn out to be the most effective way to counter the enormous stress and tension of modern living. It is equally important that we become more responsive to the needs of our fellow beings, and resist all forms of oppression, violence, discrimination, racism and the deeply – rooted fanatic spirit. Haimnauth Ramkirath grew up in a small rural village in Guyana, South America. The beauty and simplicity of country life shaped his abiding love for nature. From an early age, he dived deeply into the richness and beauty of the spiritual and philosophical teachings and traditions of the East. This stirred in his heart a lifelong quest for inner peace and harmony. 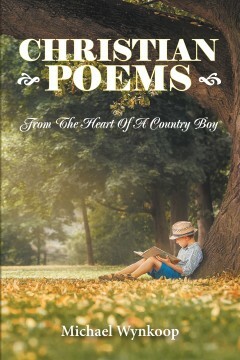 These poems reflect his intense inner search and contemplation. Haimnauth was a teacher for ten years in Guyana before taking up residency in the USA in 1991. He is a professional accountant and has worked his way up to the Controllership level. Haimnauth comes from a background of strong family values and he and his wife, Radhika, have inculcated these values to their son, Akash and daughter, Tamala. Haimnauth believes firmly that one has to work out one’s Karma and salvation while actively participating in the world, and to abdicate one’s responsibilities and duties is a negation of life itself. He is a very vigorous campaigner for social justice and equality, and his utter condemnation and abhorrence of racism, discrimination, social apathy and indifference to the plight of the poor and the oppressed, and scourge of the fanatic spirit, are reflected in some of the poems. My name is W.R. Stowe. I have written poetry all my life. Just recently, I decided to publish my poems from the prompting of my friends. I believe that writing is a natural gift from God. I used to write from pictures alone. I would gaze at the picture and the words would just flow. Then I became able to write from thoughts and ideas. Then I would just turn some easy listening music on and start writing, not having any idea of what I wrote until I read it, and sometimes it would make me cry. I become able to jump into another person's eyes and write what I felt they were thinking. My style of poetry is simple. I feel that people should not need a dictionary or a degree in English to read poetry. 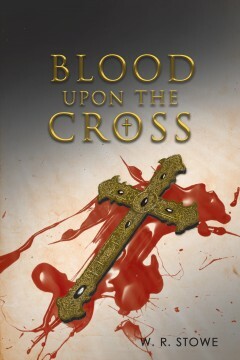 “Blood Upon the Cross” has poems of praise, and many poems about salvation and prayer. I hope you will be blessed by what you read. Thank you for your support and may God richly bless you. 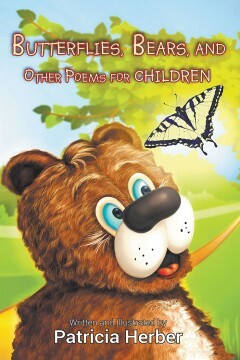 Butterflies, bears, and Other Poems for Children is a delightful collection of poems and colorful artwork that uses rhymes to teach about holidays, dental health, fire safety, animals, dinosaurs, etc. The author, Patricia Herber, firmly believes that the concept of rhyming is an important skill that can be a fun way to help children learn to read. Written in an easy-to-read and listen-to format, children will enjoy turning the pages as they learn fun facts and view amusing illustrations. This totally entertaining book will surely capture your child’s attention and is appropriate for toddlers through age ten. 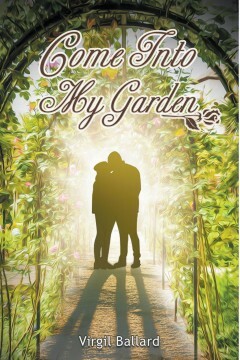 This book is a compilation of Christian poems written from my heart in the hopes of inspiring at least one person. I know that I won’t reach everyone, but if I could change a single soul’s point of view it will all be worth it. I’ve seen folks read my poems and laugh, I’ve seen them read them and cry, emotion is the main purpose of any writer and once it’s achieved we have reached our ultimate goal. I hope you enjoy. I grew up in a small town within view of the magnificent Blue Ridge Mountains. It’s hard not to be inspired by the pure beauty of that mountain range. I never considered myself a writer and definitely never considered myself a poet, but life happens and sometimes new skills and perspectives are born through adversity and heartache. Luckily, I am blessed to have great friends and a wonderful family to be there for me. Dee Dee’s Inner Most Thoughts is a collection of my thoughts from religion to sensuality. Here’s hoping everyone enjoys reading my work as much as I enjoyed writing it. If these works inspire just one person to think just a little longer on the topics within I’ve made a difference. I am Christa Wilson Tarpley, born and raised in the state of Virginia in a small town called Axton Va. I am a graduate from Carver High School, attended nursing school “National Business College” Danville Va. and received a two year degree. Years later I went back to school and received a two-year degree from “Phoenix College”, Phoenix. I am married to Jimmy L. Tarpley and have 2 children Sol Angelo and April. Writing is my passion, and is my way of expressing and sharing from my heart I love writing songs, poetry, and short stories; fiction as well as fact. I write to encourage andmaybe touch someone heart, and to offer a positive outlook in any given situation. Again, I say thanks from Christa Tarpley.